Creating a wedding that's truly personal has never been more in style. Use these 2019 wedding decor trends to get creative for your own big day! 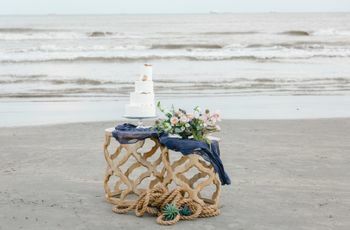 The 2019 wedding decor trends are all about adaptability. As couples continue to make their own rules and shift away from distinct wedding "themes" (R.I.P. shabby chic), the latest wedding decor trends are following suit. 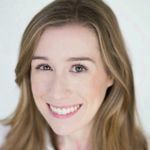 This year, you can expect to see fewer cookie-cutter trends that are only suitable for one type of wedding, and more trending elements that are actually versatile for a range of venues, budgets, and wedding aesthetics. We're dishing on the most coveted wedding decor ideas for 2019, including candles, linens, wedding color palettes, signage, and more — all of which you use to can personalize your own unique vision, even if that means blurring the lines between traditional wedding styles. As couples continue to pare down their wedding decor with a “quality vs. quantity” mindset, they’re also going back to the basics. Cue the timeless taper candles! 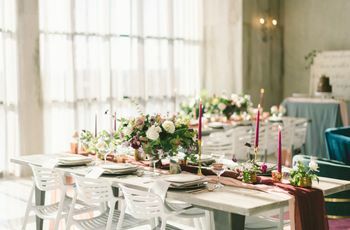 These long candles, which might have felt too formal or old-school for modern couples in years past, are no doubt one of the top 2019 wedding decor trends. We’ve always loved wedding candle decorations, but tapers can seriously elevate your decor in a matter of seconds with minimal effort. All it takes is a few tapers to boost your tablescapes, making them ideal if you're going for high-end style while also trying to watch your wedding budget. The best part is that you can find taper candles in almost any color, whether you want classic white, metallic gold, or even black for a gothic-inspired wedding. 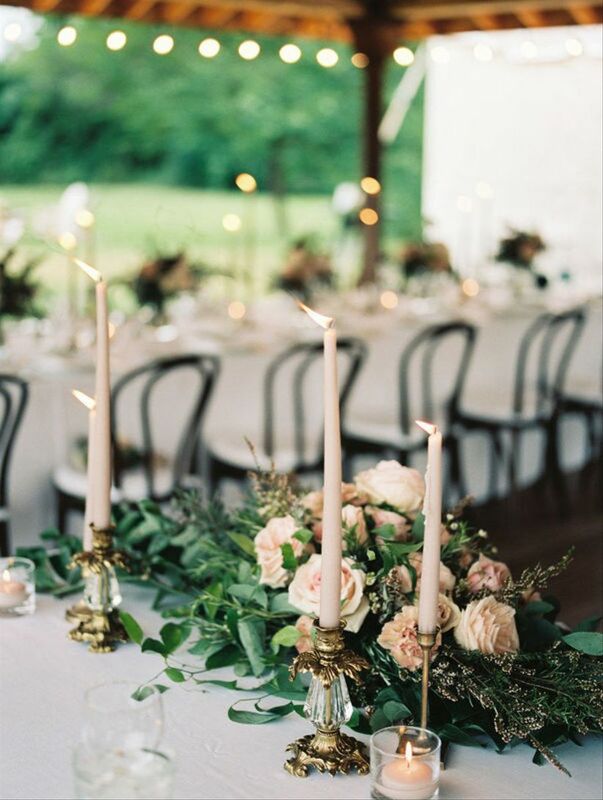 Pair your tapers with mismatched vintage candlesticks for an eclectically romantic effect. For 2019, the newest take on boho chic style is less about flower crowns and crop top dresses, and more about earthy elements with a heavy focus on neutral color palettes — whether that means having a desert wedding or eloping in the middle of a secluded forest. Either way, this feathery grass is a bohemian wedding favorite for everything from bouquets to centerpieces and decorative ceremony backdrops. The grass naturally has a soft brown hue, which automatically gives it an ethereal vibe, but it can also be dyed to match your color palette for a look that's truly custom. 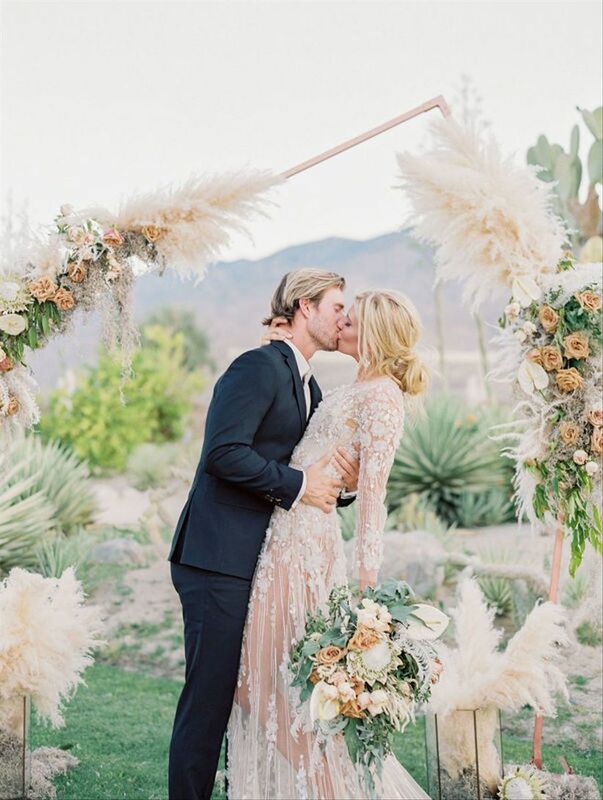 We’ve even seen celebs getting on board with this 2019 wedding decor trend: Mandy Moore had pink pampas grass lining the ceremony aisle at her recent wedding in LA. 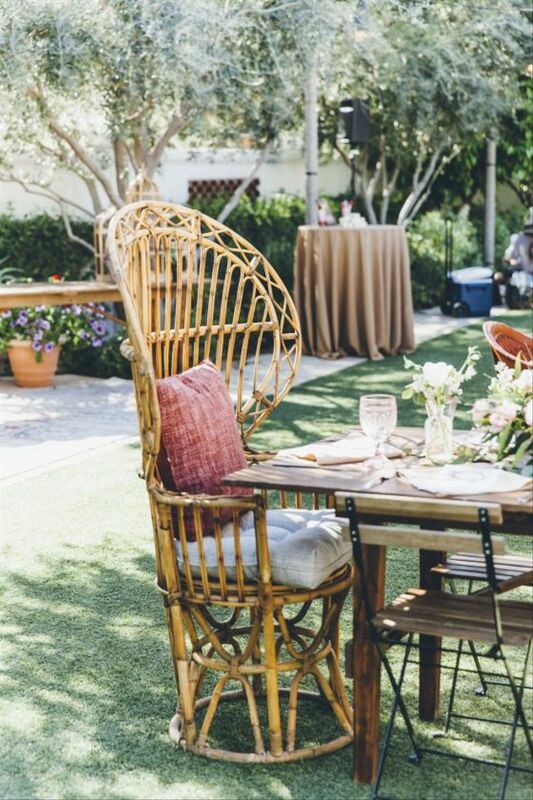 While we’re on the subject of bohemian weddings, rattan and wicker accents (not just chairs!) 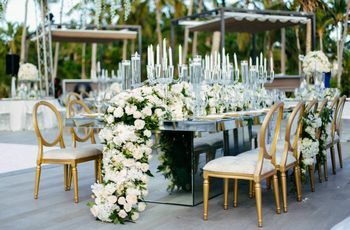 are on track to be one of the biggest 2019 wedding decor trends. Couples are turning to these vintage-inspired statement pieces to bring a dose of hippie chic flair to their wedding decor. Whether it’s with high-back peacock chairs, lanterns suspended from the ceiling, rattan lounge furniture, or assorted wicker baskets displaying floral arrangements, we can't wait to see more of these wooden details in 2019. When it comes to wedding signage, the trends have evolved a lot over the last few years. 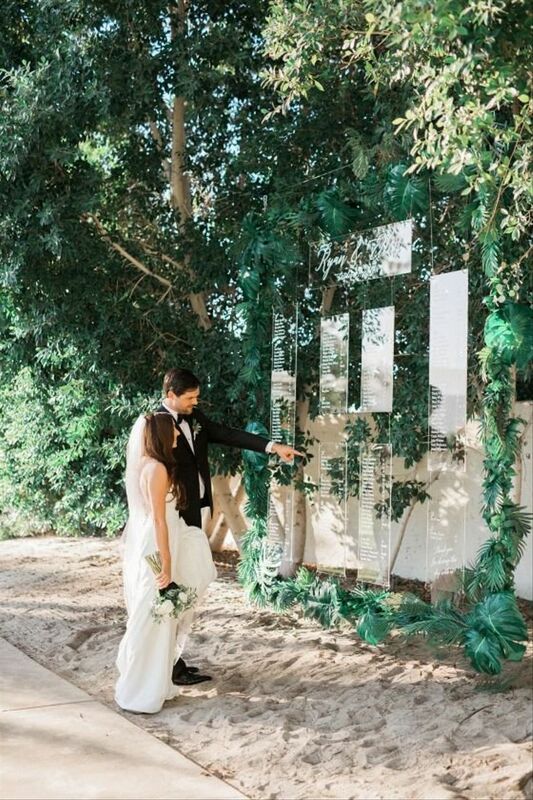 First there were chalkboards, then wooden signs and mirrors (adorned with greenery, of course! ), neon signs, and now felt letter boards and retro-style light boxes. 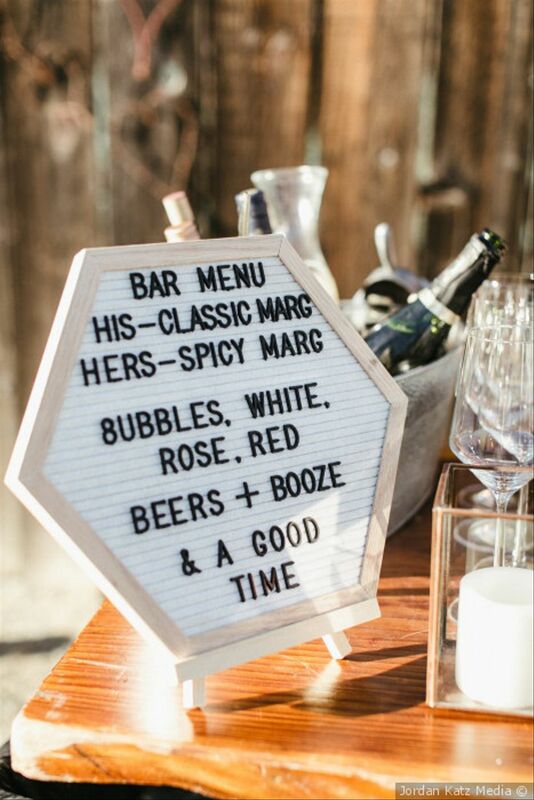 These two wedding sign ideas have already established themselves as interior design faves among the coolest Instagram influencers, so we were excited when they finally started popping up as 2019 wedding decor trends. The back-to-basics look of letter boards and light boxes is perfect for couples who love minimalistic wedding ideas, but you could easily pair them with floral accents to soften the look. If you’re so over pastel wedding color palettes, then 2019 is definitely going to be your year, because bright colors are back! 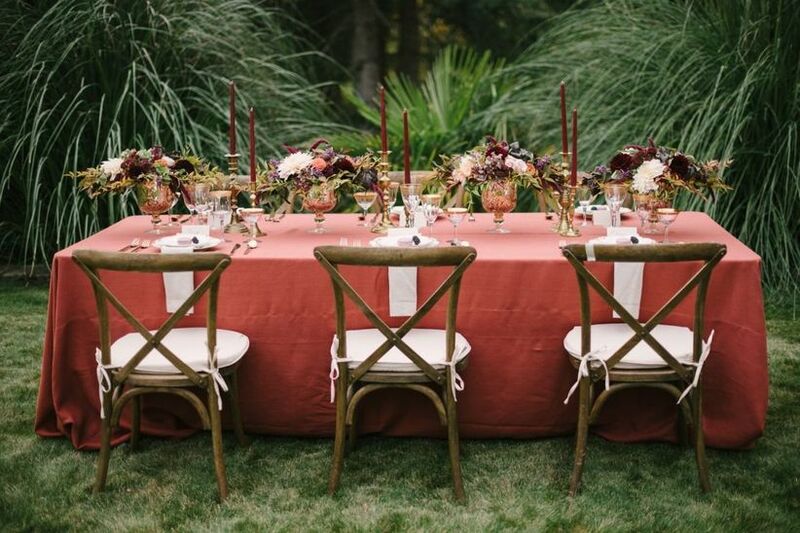 We’ve been noticing a slow but steady resurgence of vibrant colors in wedding palettes, and with Pantone’s announcement of Living Coral as the 2019 Color of the Year, it looks like bright colors are here to stay. 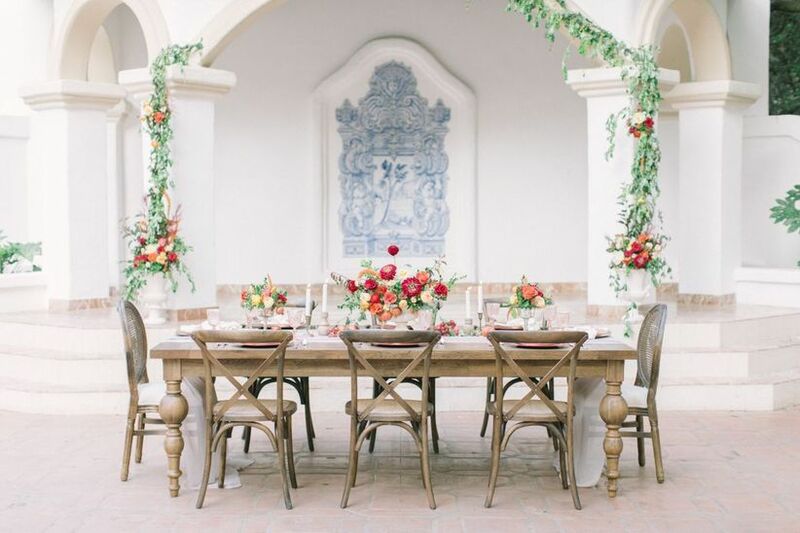 From cheerful citrus-inspired hues such as coral, orange, and yellow, to moody wedding colors like emerald green, burgundy, and mauve, couples are once again daring to be bold. But don’t get all matchy-matchy on us just yet! In 2019, the latest approach to picking your wedding colors will be to incorporate various shades of one color — for example, powder blue, steel blue, and navy blue — rather than sticking to an exact paint chip match. While 2018 was the year of floral hoops and oversized wreaths, 2019 will be the year of abstract floral installations. 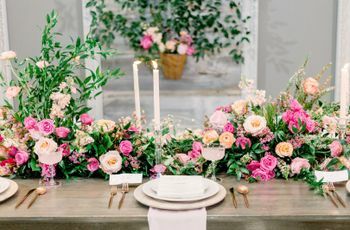 This 2019 wedding decor trend is all about creating free-flowing, organic-style arrangements on a larger-than-life scale. Think flowers and vines growing up a wall, overflowing greenery arches above venue entryways, and epic hanging floral centerpieces. As the wedding venue trend transitions from outdoor spaces to “blank slate” indoor locations like warehouses and lofts, more couples will be looking for ways to personalize their decor by bringing the outdoors in. 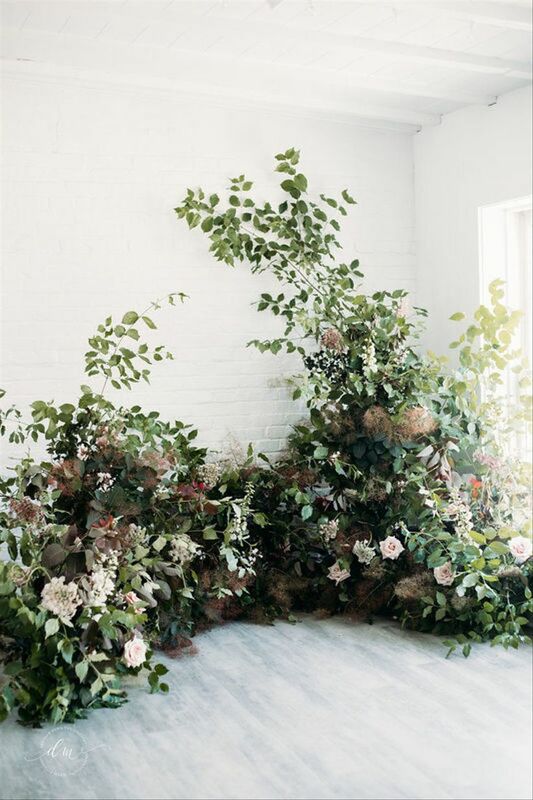 We can probably thank Prince Harry and Meghan Markle for reigniting this trend, since their florist decked out Windsor Castle with gorgeous greenery and floral arches on their wedding day. Acrylic will continue to be a trending wedding detail throughout 2019. Expect to see this translucent material used for signage, creative place cards, invitations, charger plates, and even rental furniture, such as ghost chairs and accent tables. While it seems quite contemporary at first, acrylic wedding decor is surprisingly versatile depending on how you use it. Pair acrylic details with flowers and swooping calligraphy for a modern romance theme, metallics and mirrors for a glam theme, or wood accents and neutral colors for a minimalistic look inspired by Scandinavian design. From velvet to faux fur, cashmere, and even corduroy, we're crushing on the use of ultra-luxe fabrics at weddings. Thicker fabrics like these are a stark contrast to the airy, gauzy wedding linens that we've seen for the last few years, but that's exactly why they've risen to popularity and will continue to trend throughout 2019. Couples are using these somewhat non-traditional fabrics at their weddings as a way to add richness, texture, and dimension to the decor. Heavier fabrics are ideal for fall and winter weddings, and the ways you can incorporate them are seemingly endless. 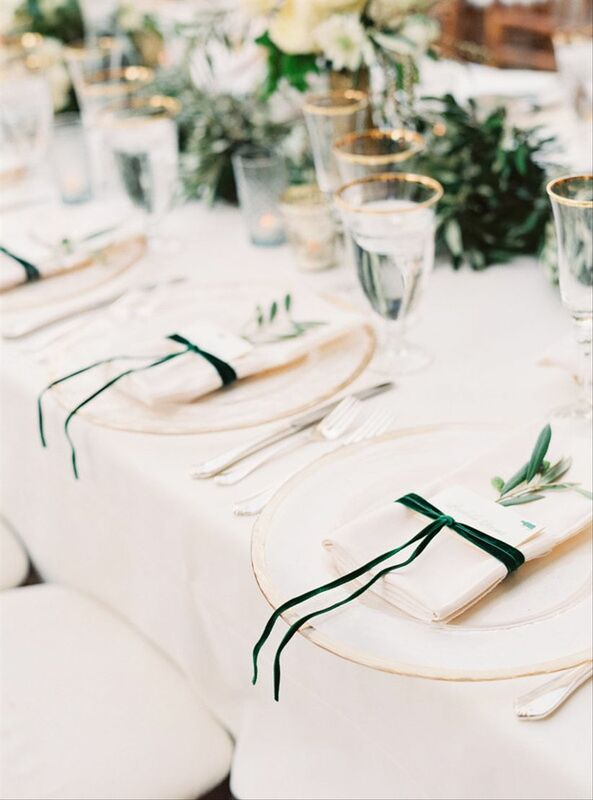 Whether its through your table runners, wedding lounge furniture, throw blankets, or ribbons on your invitations and place settings, fabrics are a great way to upgrade your decor.